DFSee version 16.0 has been released, with significant new functionality and fixes. It is a MAJOR release, introducing TWO new filesystems with full support including file browsing and recovery, bringing the total number of supported filesystems to around 10! ISO – The ISO9660 filesystem as used on CDROM’s and DVD media, and perhaps more importantly in .ISO imagefiles representing them. You can now use DFSee to copy files from a CD/DVD or ISO image. The Rock-Ridge (Unix/Linux) and Jolliet (Windows long names) extensions are supported as well, selectable where needed. APFS – The new Apple filesystem, used in iOS and newer macOS versions (High Sierra, Mojave) that moves up a lot of the filesystem limits from the older HFS+ and is optimized for SSD storage. APFS supports multiple independent volumes in one partition, all sharing the same pool of storage blocks (container), and it is organized using B-trees for almost everything, making access to information really fast. The APFS support has all the familiar DFSee analysis functions and also supports browsing and file-recovery for normal files. (XATTR and Resource-fork support will be coming soon). There have also been some improvements in the menu-system like attached submenus to select a partition for PTEdit or LVM, to select an APFS volume from a container or to select between Standard, Jolliet or El-Torito areas within an ISO. Of course, as usual, there are also many smaller improvements and bug fixes. This being a major release, it will require an upgrade if you currently have a registration for an older version, so visit the DFSee product page in the ArcaOS store to purchase an upgrade at a great price. Note: Keys sold on or after January 1, 2019 are valid for version 16.x, with no additional upgrade required. For key installation instructions, please visit this page. This entry was posted in Uncategorized and tagged application, dfsee, disk, filesystem, partition, update, upgrade, utility on April 19, 2019 by Lewis Rosenthal. 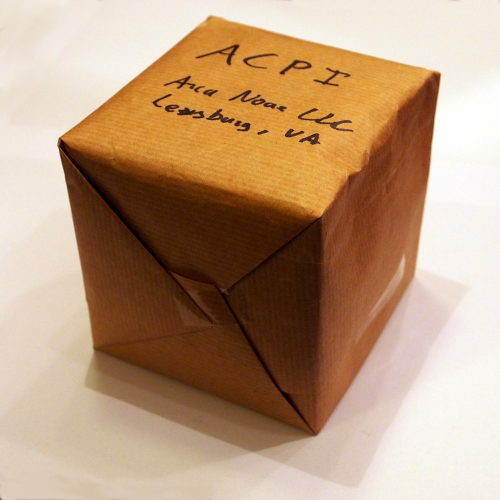 Arca Noae is pleased to announce the immediate availability of our ACPI Driver Package for ArcaOS, OS/2, and eComStation version 3.23.11. Minor changes to PCI setup to accommodate some unusual BIOS settings. Enhanced Daemon Power Manager to properly calculate CPU load. This is a maintenance update that should be installed by everyone. 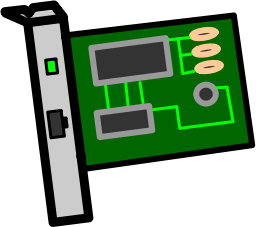 This entry was posted in Arca Noae, New software releases, News and tagged acpi, acpica, components, ioapic, shop, store, tech, update on March 9, 2019 by David Azarewicz. PC manufacturers and Intel specifically have stated publicly that they intend to phase out inclusion of a CSM layer in the next few years (in the case of Intel, beginning in 2020), leaving UEFI as the only boot option, eliminating the “Compatibility” selection. To prepare for this, Arca Noae has been exploring ways to boot ArcaOS on systems lacking a manufacturer-supplied CSM. We are pleased to announce that over the last several months our development team has made significant progress in achieving that goal. In the lab, we are now able to boot ArcaOS all the way to a desktop on a system configured to boot in UEFI mode. All necessary drivers load, with all CPU cores running, and ArcaOS properly switches to graphics mode. The importance of this accomplishment cannot be overstated. To our knowledge, this is the first time ArcaOS has ever booted without the presence of an active CSM. Having said that, this project is still in its research stage and not yet ready for release to our beta testers. Native UEFI support requires changes to the low level disk and video subsystems, and this work is ongoing. We remain cautiously optimistic that we will complete our Proof of Concept successfully and will have a UEFI solution for a future ArcaOS version. Oh, and Arca Noae has been an Adopting member of the UEFI Forum since 2015. This entry was posted in Arca Noae, ArcaOS, Consulting, General, News, Subscriptions and tagged arcaos, bios, blue lion, company, components, csm, driver, extensible firmware, gpt, info, interface, mbr, partition table, uefi on March 6, 2019 by Lewis Rosenthal. Work continues at a furious pace behind the scenes at Arca Noae! Sometimes, a lot of work is needed before any highly visible releases are done, so we thought it might be a good idea to provide periodic progress reports so everyone can see just how much work is being done. Here’s the first in the series. Work is continuing on Panorama. There have been improvements in monitor detection. Our developers and dedicated beta testers discovered some issues on some systems with different EDID types. Other changes to the Panorama PMI have improved compatibility with more systems. Watch for a new release in the near future, and of course, in the upcoming ArcaOS 5.0.4. The ACPI project continues to get improvements. In addition to the regular updates for ACPICA, there has been work needed to fix some minor issues, increasing compatibility over a wider range of systems. The AHCI driver received some improvements to help protect non-MBR disks from accidental damage. A lot of progress has been made on USB3. We now have a driver that mostly works but still needs further refining before it is ready for alpha testing. Work has recently begun to investigate booting of ArcaOS on UEFI-based systems without a vendor-supplied Compatibility Support Module (CSM). Watch for further updates on this project. Early indications are very positive for this critical component, necessary to support the latest generation of hardware. A lot of work has gone into getting the next release of ArcaOS ready. 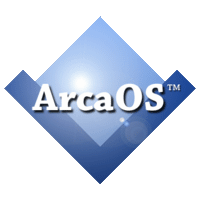 Our next progress update will focus on this, but the biggest news to share is that thanks to our new Update Facility, bringing any version of ArcaOS 5.0 up to date will be a snap: no more reformatting and reinstalling! Instead, just boot from the installation disc, ISO, or USB flash drive, select the ArcaOS installation to be updated, and allow the process to complete. A lot of work has gone into Installer fixes and improvements, too. For new installations, the process has never been easier or more trouble-free. Most of our developers also do their own things, away from ArcaOS. Most of these projects find their way into ArcaOS or into the Arca Noae software repositories in some form or fashion. Here are a couple of notable things seeing active development. Several years ago, Alex Taylor, our Chief UI Architect, began work on a replacement utility for the graphical LVM (Logical Volume Manager) Java applet. Alex has recently returned to that work, and the latest beta is looking promising for inclusion in ArcaOS 5.1. Alex has also spent some time working on not only the ConfigApps utility which associates various internet applications with the Workplace Shell, and has contributed some new work for NewView, the help and INF viewer. Source code for both of these may be viewed and checked out of the Netlabs NewView project repository. We have spent a lot of time in recent months working on some custom projects for commercial clients. Not only does this work help fund ongoing development for many of the projects mentioned above, but many new things come out of this work to benefit all users of the platform. We work tirelessly to provide professional, courteous, and knowledgeable technical support for the software we produce and distribute. Sometimes, this support uncovers bugs which we work quickly to address, other times, we find that documentation could be improved, and in some cases, we discover hardware which may require some software modification to support (or which we may determine to be unsuitable for ArcaOS). We offer two levels of support: personal and commercial, where commercial subscribers receive priority attention. Still, we do our best to see that everyone’s needs are addressed. As a reminder, when considering opening a new trouble ticket, it’s a good idea to re-read our ticket guidelines and Best Practices page, and be sure to search for similar issues in our bug tracker. If a ticket is indeed necessary, we generally will require a TestLog log file, so be sure to follow the directions here to get the latest TestLog build, first. You may attach a log file at the time of opening the ticket, saving time in the process. This entry was posted in Arca Noae, ArcaOS, Consulting, General, News, Subscriptions and tagged arcaos, blue lion, company, components, driver, info on February 26, 2019 by Lewis Rosenthal. See our new product and activity roadmaps! We often get asked,”so what’s next for ArcaOS?” “Where can we see you guys?” “What have you done with XYZ?” We realize our original roadmap page fell short, and the more work we did, the harder it became to keep updating that page — especially when it was all-in-one. So, we decided to do something about that. We’ve split our roadmaps into different targeted areas, namely, General, ArcaOS, Drivers, Software, and Advocacy & Events. We’ll do our best to keep these pages updated with our latest plans and releases. 2019 is starting off as a great year for Arca Noae, and there is a lot of great stuff on the horizon. ArcaOS 5.0.4 is in beta, which will include a number of great updates including Samba 4.9 and a handy updater feature which should update even an early 5.0 release to the latest code in a matter of a few minutes. USB 3 is also on the way very soon, now. Watch for more updates to our software and to our roadmaps as we move further into this year. This entry was posted in Arca Noae, News and tagged arcaos, blue lion, calendar, company, components, conference, driver, event, info, live, meeting, progress, roadmap, site, software, strategy, update, upgrade on January 7, 2019 by Lewis Rosenthal.